Agia Napa Marina is currently the largest mixed development project carried out now in Cyprus with a construction cost of about 350million euros. 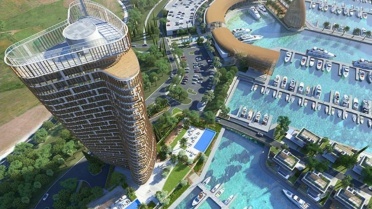 When Agia Napa marina project is completed it will reshape and transform the east coast of Cyprus, by adding a unique landmark that will offer luxurious residency and entertainment to its tenants and visitors. 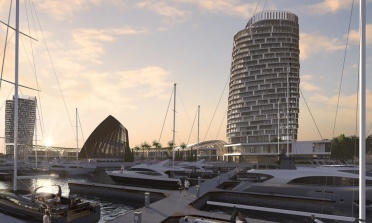 The project includes a marina with a birthing capacity for 600 yachts and mega yachts with complete supporting facilities. 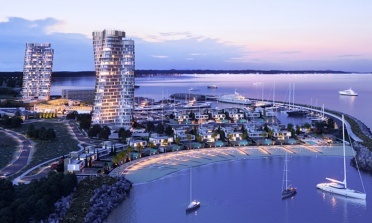 It will provide unique retail and commercial places and an exclusive beach. People have the option to choose to live in one of the 30 exclusive villas selecting either sea or marina views. Alternatively, people can choose to stay in one of the illusive apartments on the two high rise towers topping to over 100m height. Both towers have a unique architectural design, with each floor twisting 1.6 degrees from the other in a direction from west to east, which provides unobstructed views of the endless blue of the Mediterranean sea and of the marina. A. J. Pericleous could not be absent from this project and was appointed as the lead structural engineering consultant for the two high rise towers in collaboration with our US based leading global experts in highrise design, Thornton Tomasetti Inc. . The unique experience of our team, the proactive approach and the support from our associates ensures the smooth and seamless design and execution of the project.